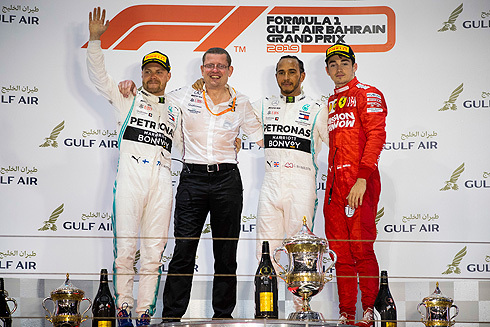 Lewis Hamilton led home a Mercedes one-two following a dramatic weekend, taking the lead in the closing stages of the race after Ferrari’s polesitter Charles Leclerc hit problems. 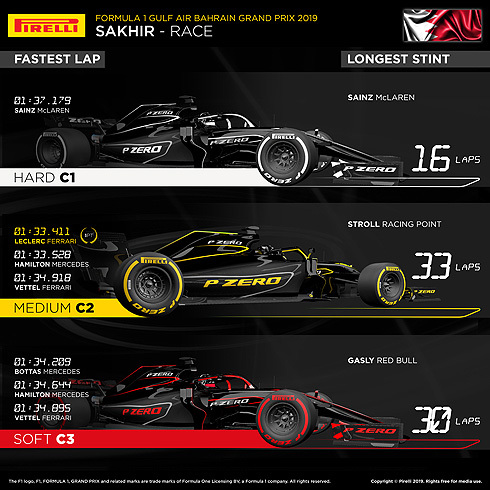 The top three all used different two-stop strategies, in a thrilling race that was characterised by plenty of tactical variation, with high levels of tyre degradation. 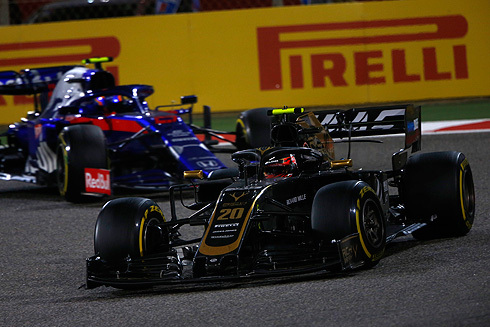 - Before his issue, Leclerc’s advantage had been such that he was able to complete his second pit stop without losing the lead. He still took the point for fastest lap. - Sebastian Vettel finished fifth with three visits to the pits, the final one following an incident. - There was a tense strategic battle between Mercedes and Ferrari, with both teams attempting to undercut each other during both rounds of pit stops. - Although there were many different strategies at work, all the drivers started on the soft tyre apart from Williams driver Robert Kubica. - The only driver to attempt a one-stopper was Renault’s Daniel Ricciardo, who retired with just a couple of laps to go.